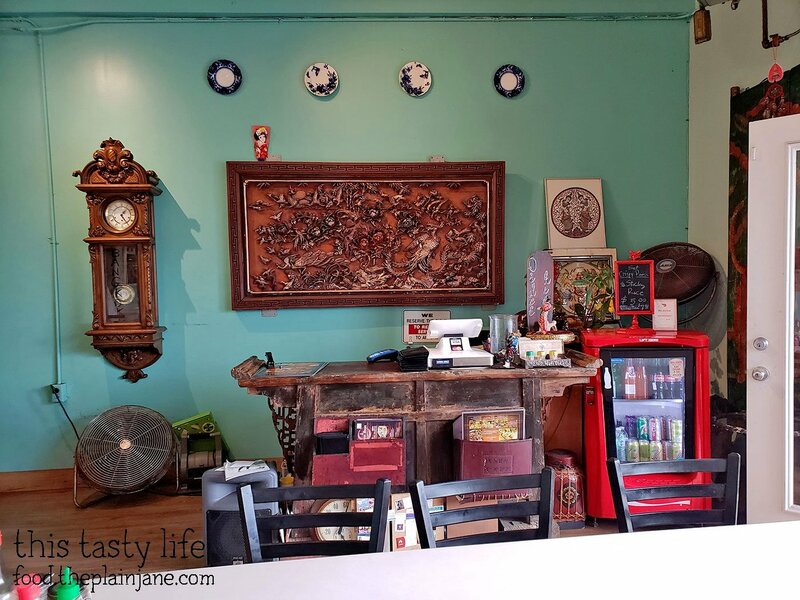 Lann Boon Asia Cafe is a tiny place a bit hidden from the road. 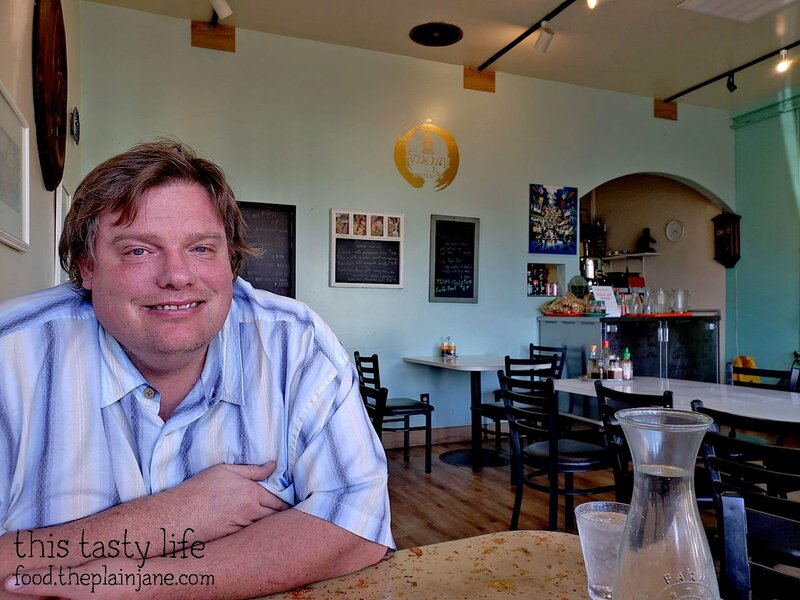 I first came here with Lynn (Oh-So Yummy) and CC (Pink Candles at Ridgemont High) on a little food crawl in January and then recently I took Jake to check it out! It’s hard to see from the street (off Market and 47th). It’s tucked into the corner of the shopping center and pretty easy to miss. It’s not a very large place, either. Just a handful of tables. On both of my visits, we were the only ones in the restaurant. 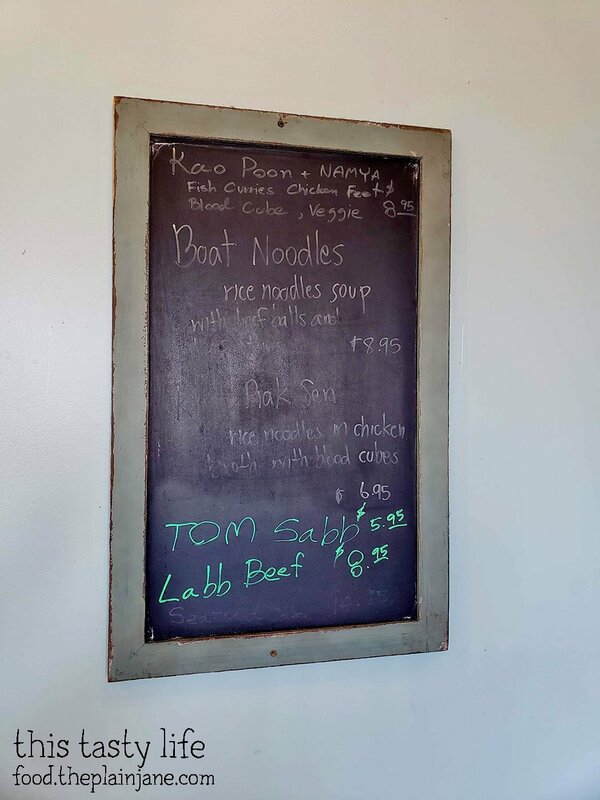 There’s a variety of menus on the wall featuring different items. 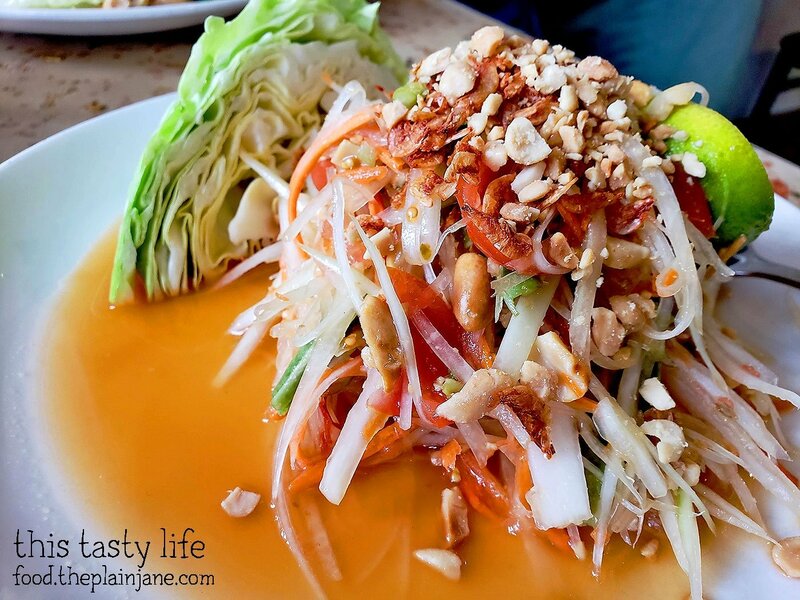 Lann Boon Asia Cafe has different versions of the Papaya Salad. 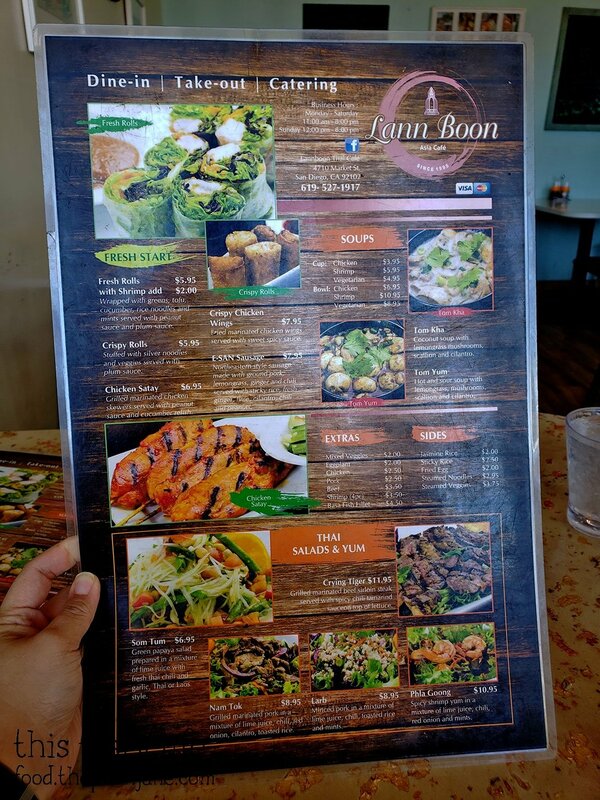 They feature Thai and Lao cuisine here at Lann Boon Asia Cafe. 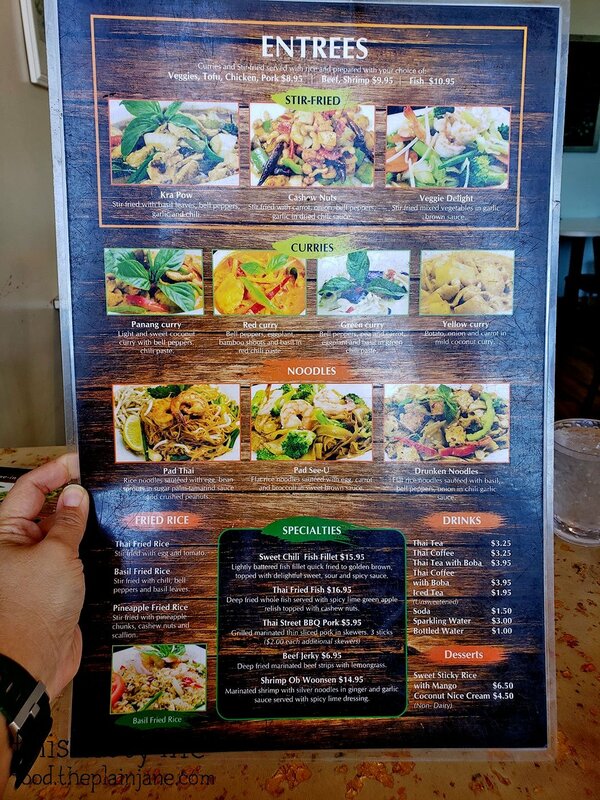 This was the first time I tried Nam Kao [$8.95] (also spelled Nam Khao, according to Google) and it is is a Lao crispy rice salad or Lao fried rice ball salad. What I like about this dish is the crispy bits from the fried rice balls. 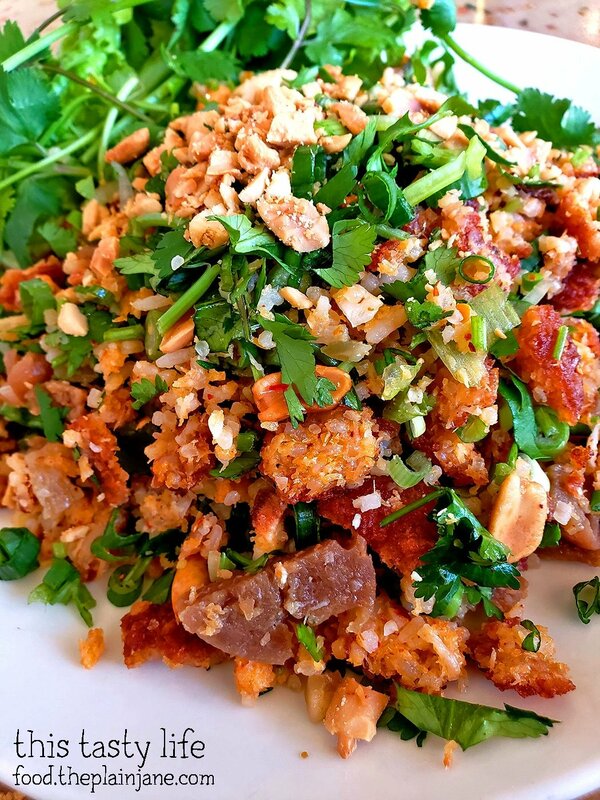 It’s also super flavorful with bits of nuts, sour pork, cilantro, and green onions in the mix. A side of sticky rice that I think was to be eaten with the sausage we got. 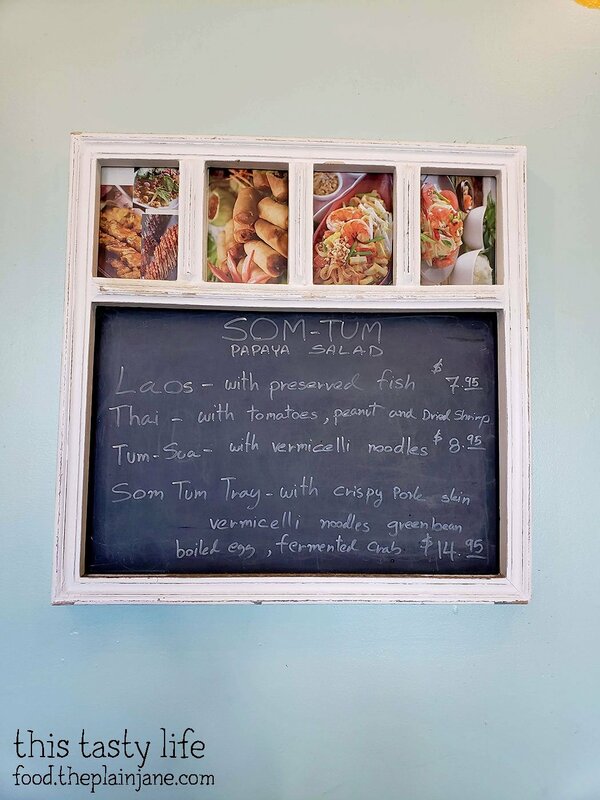 We also tried the Som Yum or Papaya Salad [$6,950. This was the Thai version (they also have a Lao version available) and we got it mild. Very refreshing with the mix of vegetables and papaya and look at all of those yummy nuts on top!! 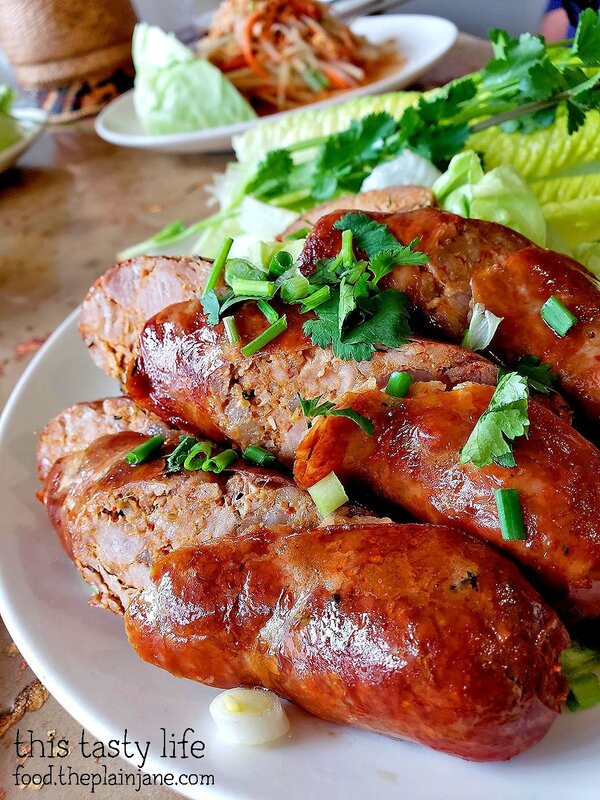 The last item the three of us sampled at Lann Boon Asia Cafe was the E-SAN sausage [$7.95] and this was SPICY. They make this ahead of time so you can’t really control the level of spiciness on this one and I remember it was too spicy for me. I liked the flavor… but I just wished it wasn’t so spicy! I took Jake here recently for dinner. Here’s another view on the interior and you can see how small it is inside the restaurant. I wanted him to try the fried rice salad. I had a feeling he would really like it. 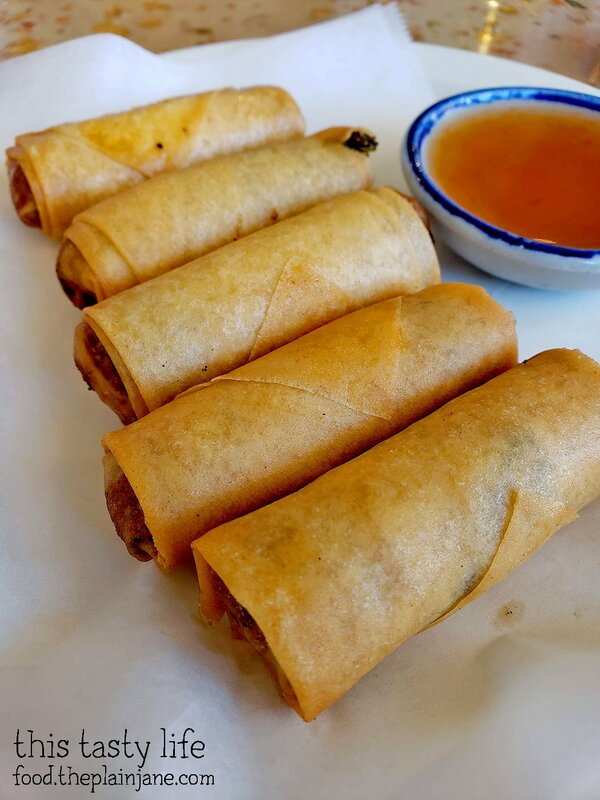 We started off with some Crispy Rolls [$5.95]. I doubled check that Jake wanted to try them since there were filled with glass noodles and veggies. It’s served with a side of plum sauce. 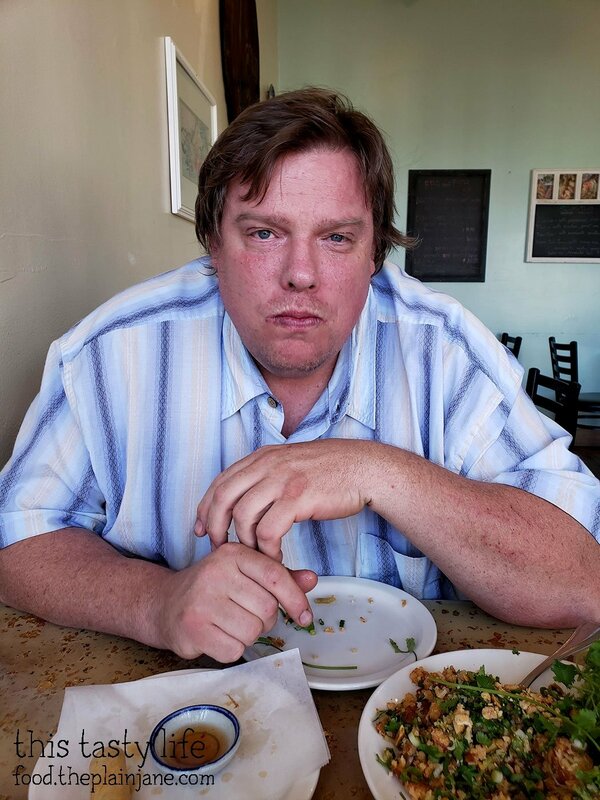 They have mushrooms in them and he still ate them. I didn’t tell him there were mushrooms inside until he was done eating them to make sure he would eat them. ha! 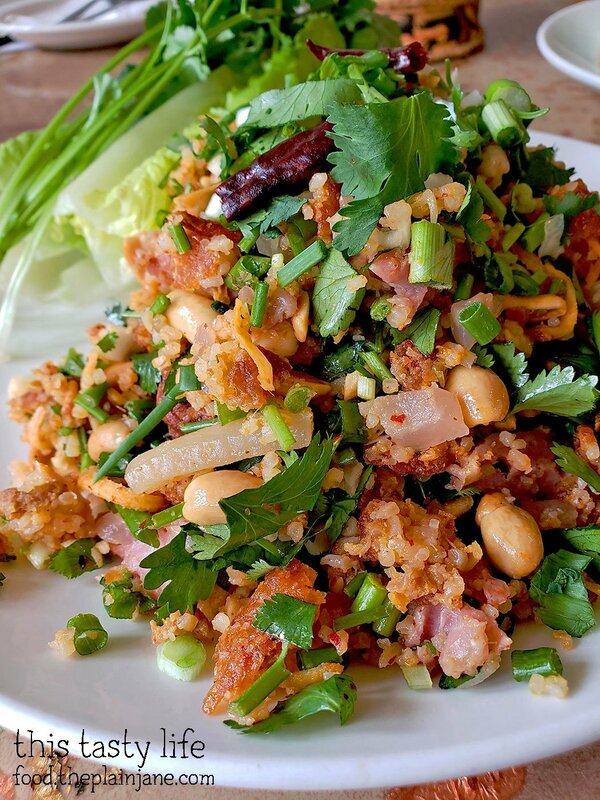 Crispy fried rice salad – again! Lynn, CC, and I tried a version at another place, too, but I prefer this one. The rice is a bit crispier. 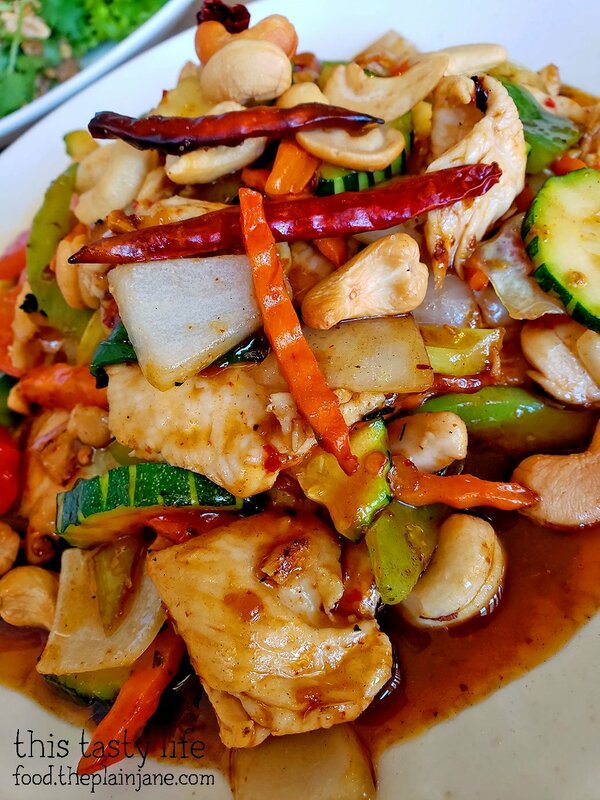 Jake and I also got the Stir Fry with Cashew Nuts [$8.95]. I picked chicken because it’s a healthier option, but I wished I had gotten beef instead. Jake really loved the sauce on this dish. Simple and yummy. I think we got the spicy level as “2” because I’m weak. It wasn’t very spicy at all, thankfully. 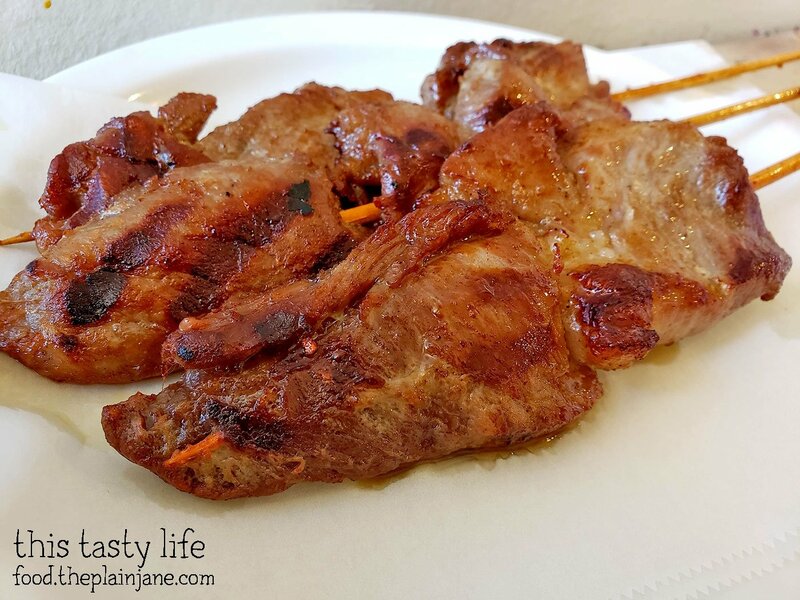 The last thing we tried was this Street Style Thai BBQ Pork [$5.95]. 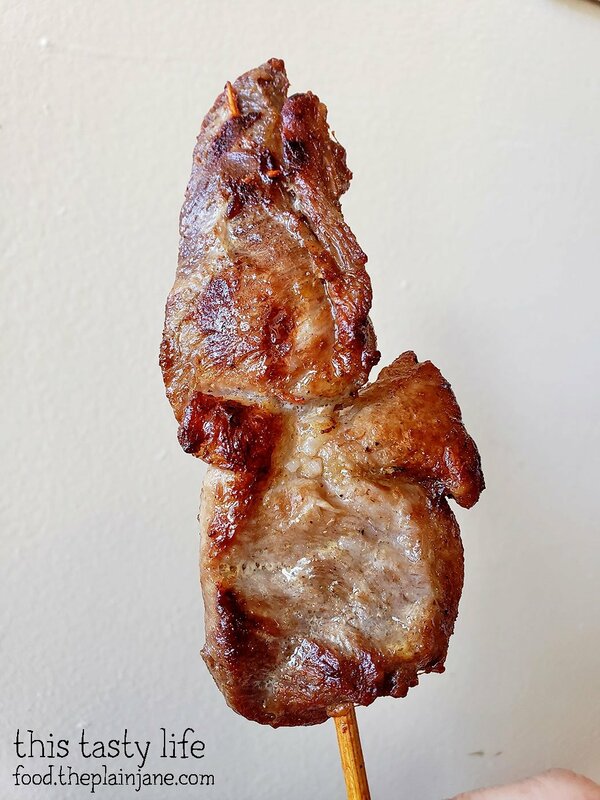 I felt the pork was a tad overcooked on this one. I also wished for a sauce and we ended up using the plum sauce from the crispy rolls and that worked out well. I would pass on this dish in the future since it lacked seasoning and was overcooked. He looks kind of grumpy here but that’s because he’s mid-chew. He really liked the Nam Kao just like I thought he would! 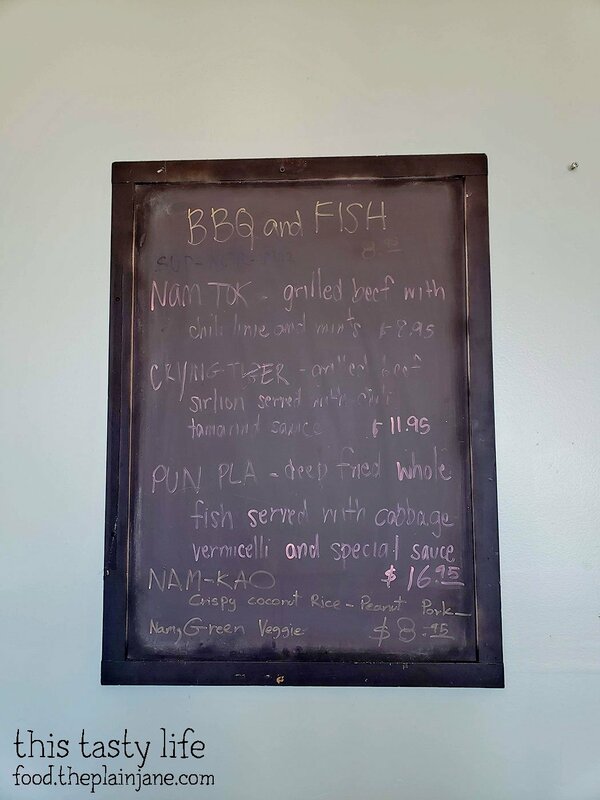 I’m thinking about bringing my folks here as well for a dinner – I think they would enjoy the flavors and that rice dish! Now the exterior is s painted bright yellow and you can’t miss it. I asked the guy and he said that was exactly the reason why they changed the paint color, ha ha. He is like the 3rd owner and revamped and simplified the menu. 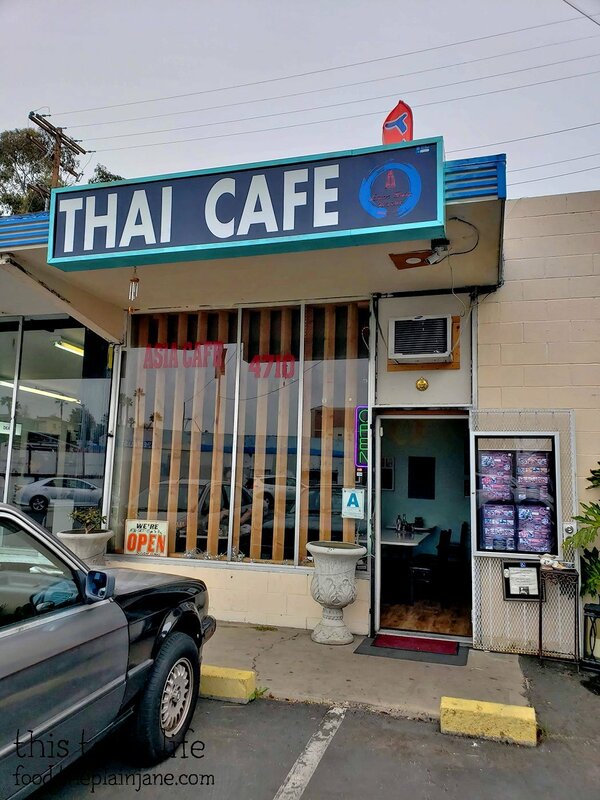 I started going here when it was still named Asia Cafe and the nem khao was off the menu (thanks to the inside tip from Kirk from mmm-yoso; u can search his older posts). I just brought Bert here the other day too and tried a fried fish special and loved it. Glad Jake liked the food there! 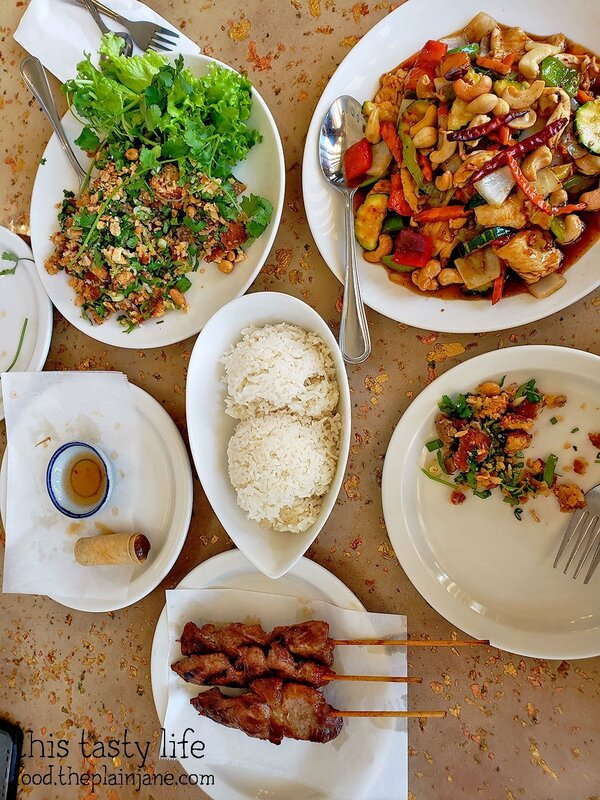 I love Thai food and it looks like you got a great selection here. 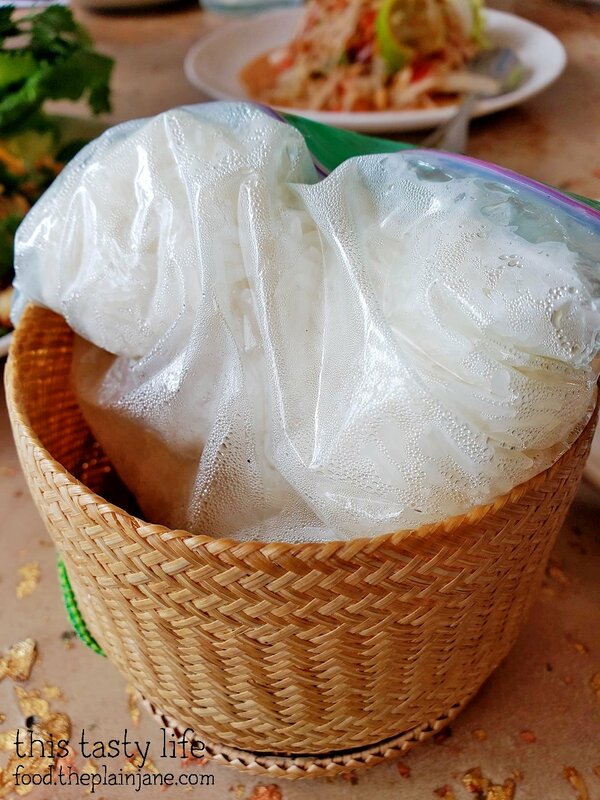 Lao food is new to me though.